Many award-winning vehicles will appear at the 2019 Portland International Auto Show.They include the recent North American Car, Utility and Truck of the Year winners — the Genesis G70 performance sedan, the Hyundai Kona and Kona EV subcompact crossovers, and the Ram 1500 pickup. 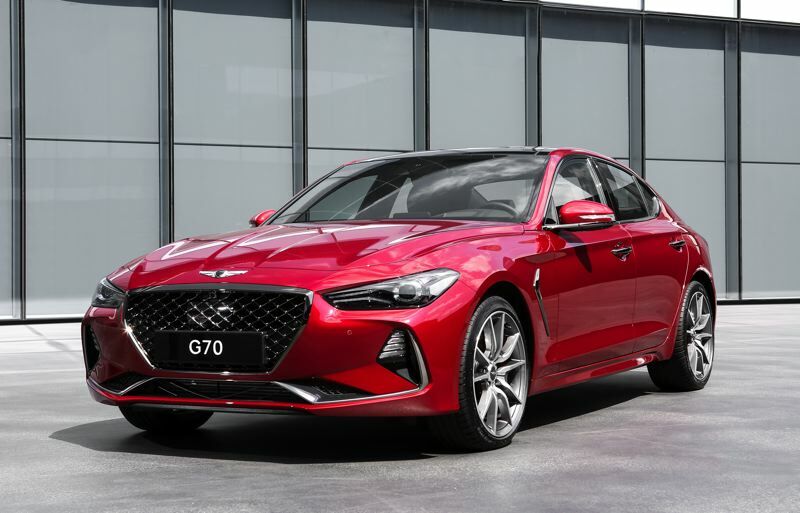 The Genesis G70 and Ram 1500 also were named the 2019 Motor Trend Car and Truck of the Year. The Jeep Wrangler was named Motor Trend SUV of te Year. The Rebel version of the Ram 1500 was named Best Pickup by the Northwest Automotive Press Association after its annual Mudfest comparison of outdoor activity vehicles. Other NWAPA winners that will be at the show include: the Kona, Best Subcompact SUV; the Volkswagen Atlas, Best Family SUV; the BMW X2, Best Luxury SUV; and the Jeep Wrangler Unlimited, Best Compact and Midsize SUV, Best Extreme SUV and NW Outdoor Activity Vehicle of the Year. For green vehicles, NWAPA handed out four awards after its annual Drive Revolution comparison of electrified vehicles that will be at the show: Chevy Bolt EV, Affordable Battery-Electric Vehicle; Lexus LS 500h, Luxury Green Vehicle; and Chrysler Pacifica Hybrid, Family-Size Plug-In Hybrid and Green Vehicle of the Year. The show will be held at the Oregon Convention Center from Thursday, Jan. 24, through Saturday, Jan. 27. For more information, go to http://www.portlandautoshow.org. Some lucky visitor to the 2019 Portland International Auto Show will win a new 2019 Ford Mustang. The turbocharged coupe will be raffled off as a fundraiser for Doernbecher Children's Hospital, in partnership with Gresham Ford. To enter the raffle, go to the Kiwanis Doernbecher Children's Cancer Program booth outside the Oregon Ballroom at the Oregon Convention Center during show hours. That raffle is in addition to the new 2019 Honda Passport that will be given away at the end of the show by Metro Portland New Car Dealers Association and NW Honda Dealers Association, in cooperation with Pamplin Media Group. To enter that giveaway, stop by the PMG exhibit located next to the Passport on display in the MLK Jr. lobby. It's official — America's love affair with the automobile is continuing. Defying expert predictions, new vehicle sales increase 0.03 percent to 17.27 million in 2018. The increase was the fourth in four years, and happened despite rising interest rates, higher prices and stock market volatility. Sales were boosted by continuing low gas prices and a strong economy, which boosted the sales of trucks and SUVs. Industry analysts now predict that as job growth continues, sales will remain near historic highs in 2019. "That's fundamental to selling anything," Mark Zandi, chief economist at Moody's Analytics, told The Associated Press. "If there are lots of jobs and people are getting bigger paychecks, they will buy more."